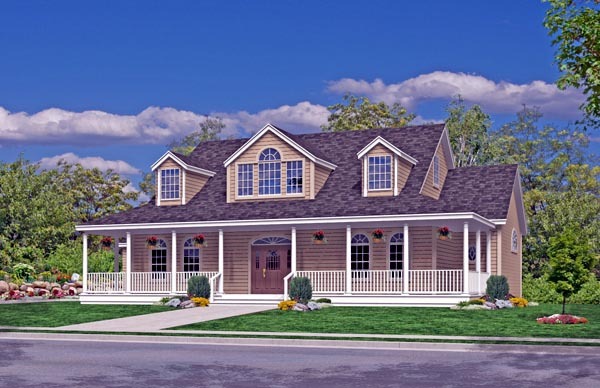 A covered wrap-around porch and lovely arched windows give this home a comfortable country style. 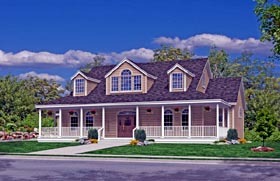 The attached garage is set way back to minimize it's impact and help retain the classic farmhouse appeal. The huge Great Room features an 18-ft. vaulted ceiling, a dramatic wall of windows and a fireplace set into a media wall for ease of furnishing. Ample counter space and a convenient work island allow maximum use of the roomy kitchen, which looks out to the vaulted breakfast room. 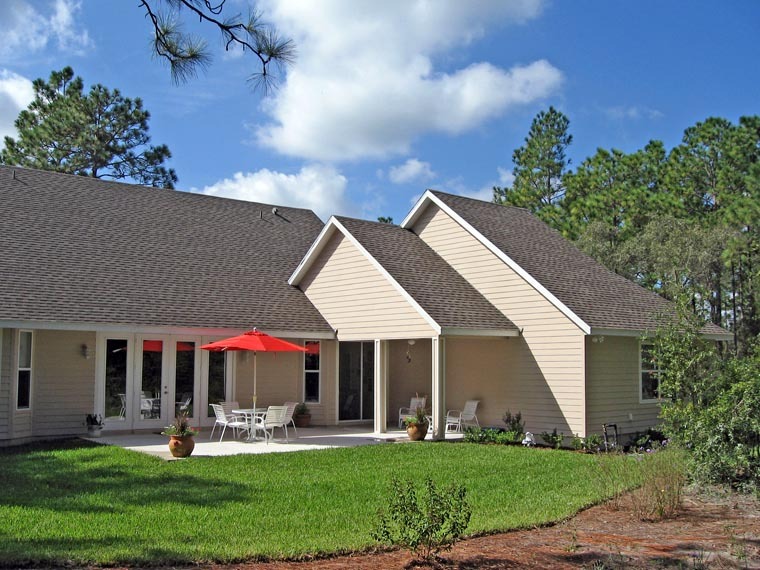 Answer: The front porch, as all porches are 5’-0” wide; All the porches can be readily deepened in the field, as their roof is independent of the main roof. Question: Will this house plan (#79521) work with a lot that slopes with the rear higher than the front? Answer: There is no reason it can’t work. The likelihood is that the front porch might be raised up requiring steps, but this would be the case with any house on such a lot, since you need to keep the rear wail of the house at a height to match or be higher than the rear grade. You might want to check with a local builder or surveyor for further advice. Question: Hi , I really like the plan 79521 but was wondering if the plan is available in a 2x6 ext. wall option and if a cost estimate is available for the wv region?